When considering works of art that focus on the embodiment of motherhood and women, an artist that quickly comes to mind is Mary Cassatt. Known and beloved for her images that depict the social and private lives of women, the American painter and printmaker made a name for herself throughout her career for her stunning artistic examinations of the bonds between mothers and their children. Soon, the National Gallery of Art will host Degas/Cassatt, a rare opportunity to see a vast amount of the artists’ work hung side by side. Degas/Cassatt is curated to evoke the deep influences that each artist drew from the other. The National Gallery explains, “The affinity between the two artists is undeniable. Both were realists who drew their inspiration from the human figure and the depiction of modern life, while they eschewed landscape almost entirely,” of the commonalities between Degas and Cassatt. Reportedly, Cassatt once said that Degas’s art “changed my life,” and Degas has also mused how “there is someone who feels as I do,” of Cassatt’s similar aesthetic and focus on the human form. 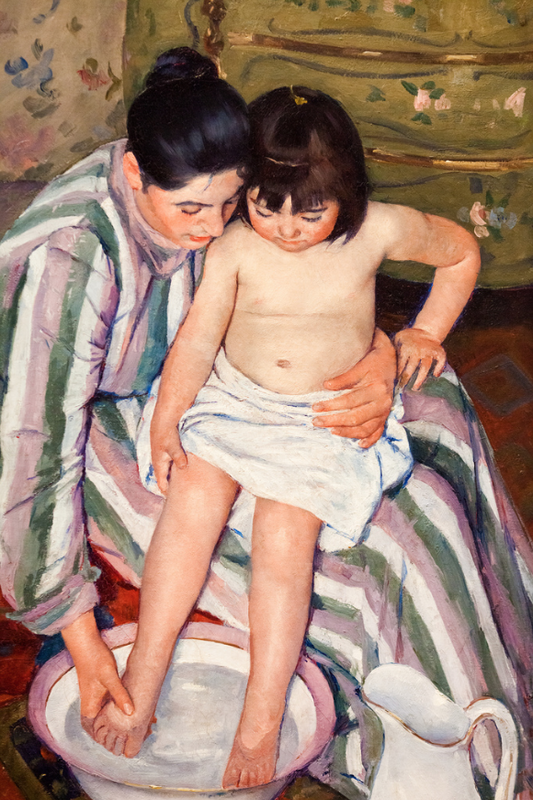 Perhaps the prominent difference between the two prolific artists is Cassatt’s enduring emphasis on motherhood. Her works that feature mother and child are vast, and capture a bucolic, innocent essence that many can identify with. Her paintings and prints illustrate the remarkable bonds that human beings have with one another; the body language in each of these motherhood-focused paintings is subtle and incredibly compelling. 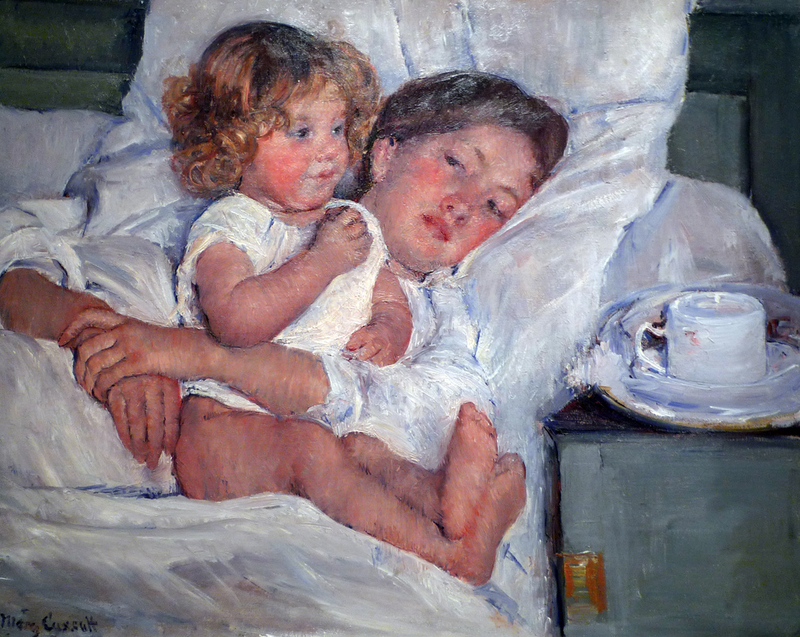 If you aren’t able to visit the impressive Degas/Cassatt exhibition, you can still access the paintings of Mary Cassatt by visiting www.marycassatt.org, where you can delight in her work this Mother’s Day and always!